About the Exhibit: Intimate Details: Flora of the New Jersey Pine Barrens highlights the unique beauty of the small plants and flowers decorating the forest floor and ponds in the 1.1 million acre preserve. 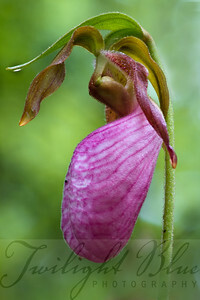 Medford Lakes photographer, Pat Worley travels throughout the Pine Barrens capturing images of the native wildflowers and scenes unique to the Pinelands. 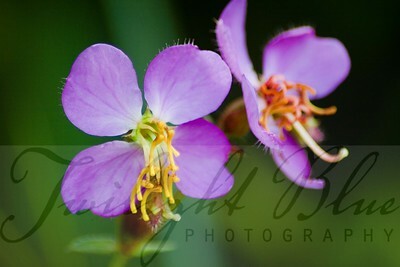 Each image illustrates the beauty that lies within this region of South Jersey. 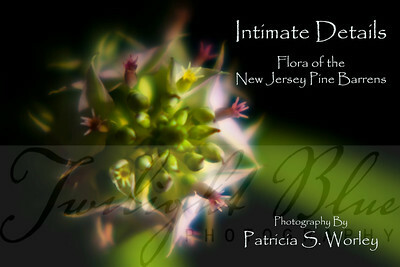 Intimate Details, Flora of the New Jersey Pine Barrens There is nothing ordinary about the flora in the New Jersey Pine Barrens. 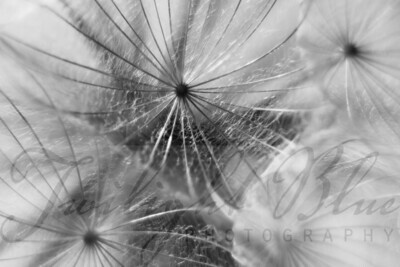 The closer you look, the more there is to appreciate in the extraordinary artistry which exists in each display of nature. 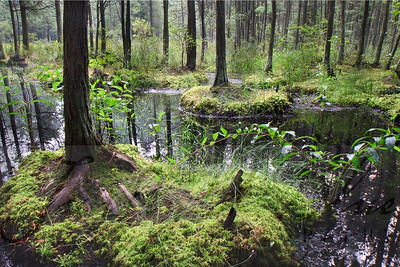 Intimate Details, Flora of the New Jersey Pine Barrens, explores two perspectives of the plants in three areas of this 1.1 million acre region. 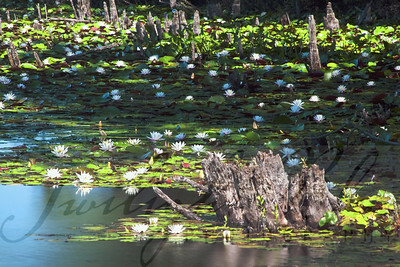 The images in this collection illustrate a wide angle view of the flora in Goshen Pond and Batona Trail, Wharton State Forest, and Pakim Pond, Brendon T. Byrne State Forest and a detail look of the individual plants. This exhibit hopes to educate and inspire the viewer. So, on your next visit to the Pine Barrens stop, get down on your knees, and look--really look--at the intimate details in each and every plant. 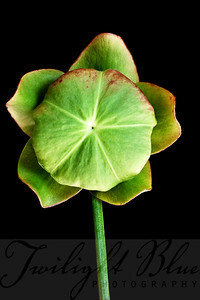 The title slide is a top view of the Cross-leaved Milkwort detail found in Goshen Pond. 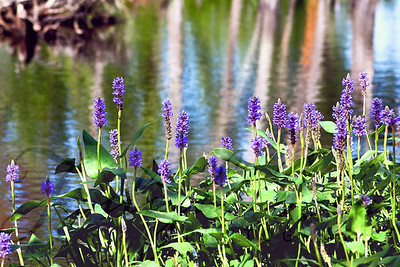 Pickerel Weed on Goshen Pond Goshen Pond, Wharton State Forest Fragrant Water Lilies and Pickerel Weed decorate Goshen Pond in the summer exploding in a vibrant display of purple, green and white. Along the banks, blooms of the Buttonbush burst with their cosmic-like spheres, while pint Meadow Beauty, Cross-leaved Milkwort and Slender Bur-reed peak out from among the grasses and moss. Pickerel Weed Sleeping at 8 a.m. Goshen Pond, Wharton State Forest Pickerel Weed grow along side water lilies in the pond throughout the Pine Barrens. 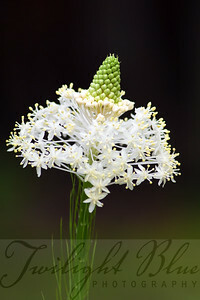 The flowers on the two foot high stalks close each day and begin to open in the morning light. 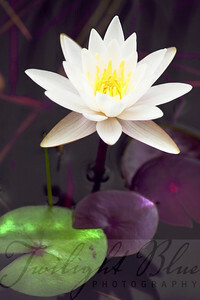 This shot was taken at 8 a.m. showing all of the petals closed. Exactly one hour later all of the blooms were open. 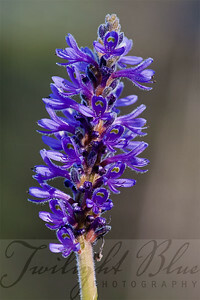 Refer to the next image to see the same flower at 9 a.m.
Pickerel Weed Ready for the Day at 9 a.m. Goshen Pond, Wharton State Forest The Pickerel Weed grows in the cedar ponds throughout the New Jersey Pine Barrens.Their elegant spikes of purple flowers open as the sun grows brighter. 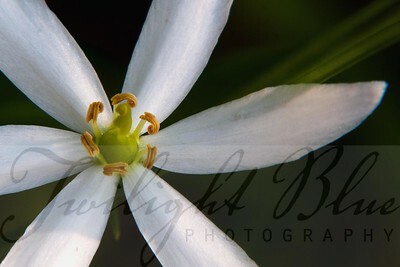 Notice the detail of the yellow and white designs on each petal. 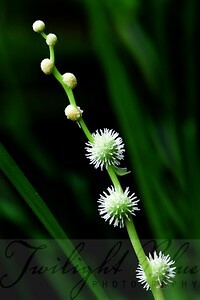 This shot is of the Pickerel Weed taken at 9 a.m. in the morning. 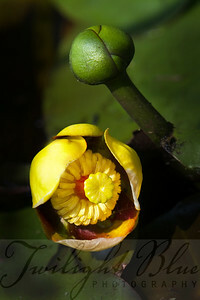 The sister shot shows the same plant an hour earlier before the blooms have opened. 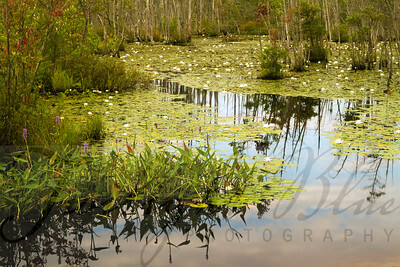 Summer Silence Pakim Pond, Brendan T. Byrne State Forest Pakim Pond is host to a number of carnivorous plants. 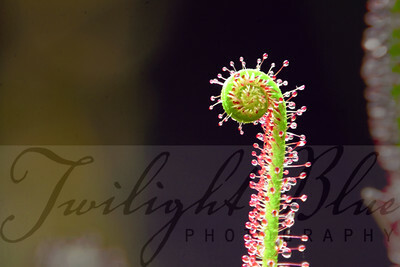 Take a leisurely walk around the lake and you will find three varieties of Sundew with their spiny leaves, and the long, elegant flowers on the Pitcher Plant. 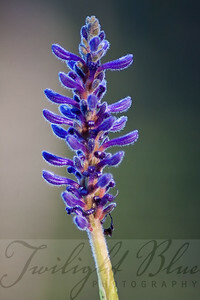 Be sure to take a closer look to see insects caught in the hungry plants. Spatula Leaf Sundew Meal Time Pakim Pond, Brendan T. Byrne State Forest The Spatula Leaf Sundew is one of three varieties of the carnivorous Sundew Plants. 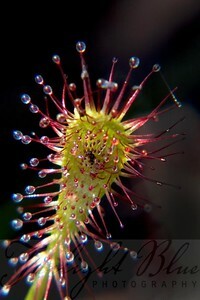 The Sundew Plant attracts insects to its stalk by the sweet droplets on each fine hair. This sticky substances also acts like glue keeping the insect from flying away. 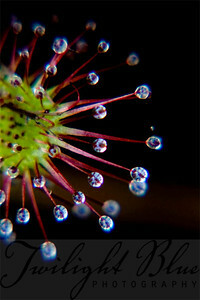 The Pine Barrens cultivate carnivorous plants due to the poor nutrients in the soil. Spatula Leaf Sundew Intimate Detail Pakim Pond, Bendan T. Byrne State Forest The New Jersey Pine Barrens is host to three varieties of the carnivorous Sundew Plants; Spatula Leaf, Thread Leaf and Round Leaf. The sticky substance on the tip of each fine hair attracts and captures their victims, eventually absorbing the nutrients from the insect's body. Pitcher Plant Leaves Pakim Pond, Brendan T. Byrne State Forest The Pitcher Plant derives its name from the shape of the leaves at the base of the plant. 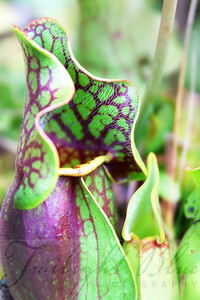 The green and purple vessels capture moisture and attracts insects. 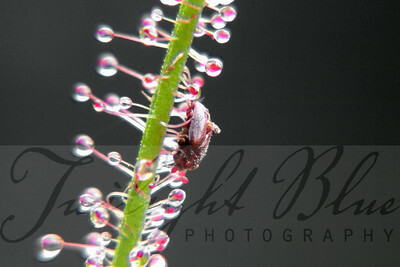 Once the insects fall into the base of the plant they are unable to get out and eventually decay providing nutrients for this carnivorous plant. 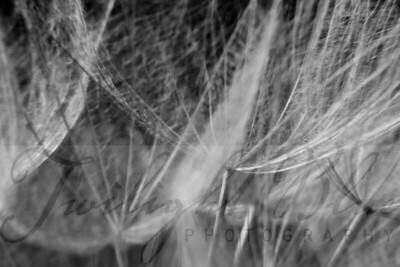 Salsify Seed Head Intimate Detail #1 Carranza Road, Batona Trail, Wharton State Forest Salsify or Goatsbeard is an edible root vegetable which grows wild throughout the Pine Barrens. 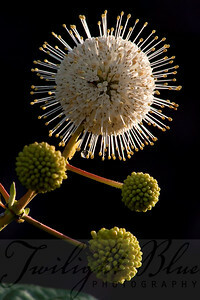 The 3 - 4" globe head forms after a purple flower has turned to seed creating a beautiful display.